Officer: Okay, soldier. Suppose an enemy sub surfaced and ran aground on that beach over there, and suppose it offloaded fifty enemy troops. What would you do? Soldier: Sir, I'd blow 'em off the sand with concentrated mortar fire. Officer: What? Where would you get the mortars? Soldier: Same place you got the submarine. Foreshadowing, according to Block, is the technique of making both the submarine and the mortars acceptable to the reader. Definitions vary. Merriam-Webster says foreshadowing is "a suggestion of something that has not yet happened." In the literary world, it's a little more complicated. Among other things, it means the early inclusion of information that makes later action believable. Because of this, and because our fictional plots must always be (or at least appear to be) logical, this writing technique is one of the most useful items in our toolkit. Mystery stories probably lend themselves to foreshadowing more than any other genre, because the clues in the narrative usually lead to the solution of the case--and if the reader pays attention, he is ideally given enough facts to come up with the answer himself. This is true of most crime/suspense stories, not just whodunits; the foreshadowing in thrillers and other non-traditional mysteries is sometimes used to telegraph to the reader the means by which the protagonist will get out of whatever fix the writer puts him in. Maybe there's a hidden gun in the kitchen cabinet, or the killer's henchman is really an undercover cop, or the radio button on the dashboard is the trigger for the ejection seat. And foreshadowing isn't always used just to "explain" later events. It can also be a way to generate suspense and anticipation. 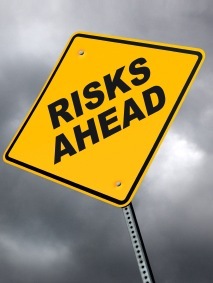 If you read a story or novel or see a movie that mentions, during its first half, a particularly scary place, or an especially fearsome enemy, then you as the reader/viewer will dread any situation that might put our hero in that dangerous location, or put him in contact with that terrible person or entity you've been told about. Consider this: A group of hikers sees a razor-wire fence, or maybe a skull-and-crossbones sign, on a ridge as they pass through the valley below, and one of them asks their guide what it is. The guide looks up and frowns and says, "Oh, that? That's the border of the Forbidden Zone. We won't be going there." That of course is foreshadowing, and the Forbidden Zone is of course exactly where the poor hikers will wind up, before the story's done. The Usual Suspects -- As Verbal is questioned by the police, he sees a number of newspaper clippings posted on their bulletin board. Those "clues" later add up to a great surprise ending. Psycho -- Norman Bates tells his motel guest, early on, that his mother is "as harmless as one of those stuffed birds." Which turns out to be true, since she's as dead as they are. It's her son who isn't harmless. Wait Until Dark -- The blind lady remarks to a visitor in her apartment that her old refrigerator growls when its door is open because it needs to be defrosted. Later, after the lady has escaped from a killer in her apartment and has frantically knocked out all the lights in every room so he'll be in the dark as well, he quietly opens her fridge's door so the light will come on and he can see. She, of course, doesn't know he's done this--but then the refrigerator growls. She now knows the door's open, and knows that he can see her but she can't see him. One of the best movies scenes I've ever watched. The Empire Strikes Back -- "Much anger in him," Yoda says to Obi-wan, "like his father." He's talking about Luke Skywalker, who turns out to be the son of Darth Vader. 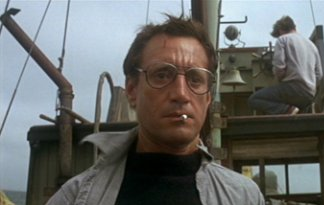 Jaws -- Hooper warns Chief Brody about the potentially explosive nature of the scuba tanks, and Brody says something like "What good is all this expensive equipment? Maybe the shark will eat it." Later the shark winds up with one of the tanks in his mouth (jaws?) and Brody shoots the tank, thus blowing Great Whitey to bits. Reservoir Dogs -- An orange balloon is seen floating along in the street behind a car. As the story progresses, Mr. Orange turns out to be the impostor who's infiltrated the gang. The James Bond novels and films -- Before most of 007's missions, the armorer demonstrates the newest lethal gadgets developed by Q Branch. Later Bond uses them to save his skin (and the world). Fatal Attraction -- When Dan Gallagher says he has to go walk his dog, the lady to whom he is fatally attracted replies, "Just bring the dog over--I'm great with animals and I love to cook." She later cooks Gallagher's daughter's pet bunny. Once Upon a Time in the West -- Several brief flashbacks show a mysterious blurred figure approaching the protagonist, in the desert. At the end, that image clears to reveal the villain--and the reason the protagonist has been searching for him for all these years. The Edge -- An Alaskan guide explains to a group of tourists what a bear pit is, and points one out, saying, "Be careful--don't fall in." Afterward, when the two main characters are alone in the wilderness, and one is about to shoot the other, the gunman falls into a bear pit. The viewer accepts this turn of events only because of that earlier explanation. The Shawshank Redemption -- During the search of an inmate's cell, the prison's warden picks up a Bible and says, "Salvation lies within." It's later revealed that the rock hammer used for the breakout is concealed inside the hollowed-out pages of that Bible. Goodfellas -- "Tommy's not a bad kid," Paulie Cicero admits. "What am I supposed to do, shoot him?" Which is exactly what happens. Citizen Kane -- The word "rosebud" is spoken at the first, and its meaning is revealed at the end. Indiana Jones and the Last Crusade -- At one point, the wealthy collector notes that they're only one step away from locating the Holy Grail. 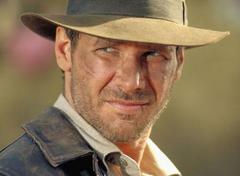 Indy replies, "That's usually where the ground falls out from underneath your feet." When at the end of the story they find the Grail, a huge earthquake swallows some of the party. Aliens -- Lt. Ellen Ripley, who during training has demonstrated her proficiency with a powerloader, later uses a powerloader to battle and defeat the alien queen. "The Lottery" -- The pile of stones at the very beginning of this short story later takes on a whole new meaning. Cool Hand Luke, Ghost, Love Story, Casablanca -- Bits of early dialogue are later repeated at or near the end, for closure: "What we got here is a failure to communicate," "Ditto," "Love means never having to say you're sorry," "Here's looking at you, kid." L.A. Confidential -- Captain Smith asks Ed Exley whether he would be willing to plant evidence, beat a confession out of a suspect, or shoot a criminal in the back. Exley says no. By the end of the movie, he has done all three. These are probably not the best examples, but they're some that came quickly to mind. Can you think of other cases where foreshadowing is effectively used? As a writer, do you find yourself using it in your own fiction? I recently re-watched a film called Signs, made in 2002 and featuring Mel Gibson and Joaquin Phoenix. That movie successfully uses more instances of foreshadowing than any other I've seen--so many that I plan to cover it in a separate column. Probably in two weeks. Foreshadowing is a great tool, butI get upset when reading very obvious foreshadowing. If a writer can disguise it in a way that makes you forget about it, then BAM it hits you at the end. I can't come up with one like that right now but I'll think about it. Enjoyed the article. Now I have to track down "Signs" and see how much foreshadowing I spot. John, please comment on the examples where the narrator says something like, "She had no idea how horrible her life would become," before the protagonist encounters whatever makes her life miserable. Thanks, Jan. Yep, the downside to this is that foreshadowing can be too obvious. I'll think about it too, and see if I can come up with an example of that. Fran, Signs is one of those movies that almost always has to be watched again in order to pick up all the tiny ways the viewer has been prepared for what happens next. As for your example, some of the better writers (Stephen King is one) do that, from time to time. I suppose the danger there is that it's obviously the narrator speaking directly to the reader, which can seem obtrusive. Whatever works, right? This is a subject I love. Great piece. Larry Block pointed out, I think, that in a Stephen King novel (The Dead Zone?) there is an apparently random scene in which a lightning rod salesman tries to sell to a bar owner, explaining that the bar is in the perfect location to get struck. When the lightning strikes later - at just the moment King needs it - instead of saying, that's unlikely, the reader says, ha, he should have bought that rod. In his brilliant story "The Tonto Woman" Elmore Leonard engages in a sort of ANTI-foreshadowing. It begins with his character, on his death bed, describing certain things he did. As the story goes by we expect them to happen, but they don't. In the movie Collateral Tom Cruise's character talks about a man dying on the subway. Guess what happens to the character? Once someone told me they knew how a story I wrote was going to end because they spotted a piece of foreshadowing. I had not put it there, but I congratulated the reader on his acuity. Too obvious foreshadowing? Or what I call organ-music foreshadowing? Most horror flicks (at least the cheesy Hammer horror flicks) and ALL soap operas. Thank God for more subtle approaches, like all the movies you cited. 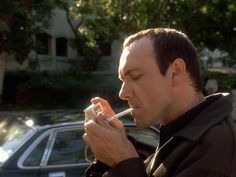 By the way, I'd also include "The Sixth Sense" - all the clues are there, but it still caught everyone by surprise. Eve, Sixth Sense is a good example. I heard one woman leaving the movie saying that she knew the Big Secret all along because of one character's clothing, which is possible. Another example I thought of (spoilers ahead). The TV miniseries I CLAUDIUS uses foreshadowing brilliantly. In one episode when Claudius is a child a seer announces that he will grow up to save Rome. His sister Livilla laughs. "I hope I die before that happens!" Their mother Antonia says "Wicked girl! You'll go to bed without your supper!" Great post. About the millionth time I re-watched Platoon it finally struck me that the opening graphic is more that it seems. It reads something like "Only the dead know the end of war," attributed to Plato as I recall. What finally dawned on me was the quotation perhaps foreshadows the change in the main character over the course of the movie. I think the graphic doesn't simply say that war is always with us, but those who survive the fighting are forever changed because they cannot "unknow" the experience. John, excellent article. Enjoyed it very much, plus it never hurts to remind us of some of the tools we can use to make our stories better. My apologies--I've been out of town since early this morning. Many thanks to all for your comments. Janice, that joke came from Block's Spider, Spin Me a Web. That, and Telling Lies for Fun and Profit, are full of that kind of thing. Rob, great examples!! I absolutely loved "The Tonto Woman." I also love the term "organ-music foreshadowing," Eve. And yes, The Sixth Sense, like Signs, has foreshadowing at every turn. Interesting observation, Peter! I've seen Platoon several times, and that went right over my head. And Jeff, I wouldn't have thought of those. R.T., I'm sure you and I and all writers have used foreshadowing many times, without even "thinking" about it at the time. It is indeed a useful technique. Oops! What the heck do I know? I'm told the quote is from the opening of Black Hawk Down, not Platoon. Guess I'll have to re-watch that again, too, and try to figure out what the quote really means. Although this is one of my favorite topics, there's certainly a paucity of writing on the subject. Thanks, John, for all those examples! Leigh, what's surprising is to look back through your (or my) own stories and see how many times foreshadowing has been used in some way or another, often (as I mentioned) unconsciously. It's just part of good storytelling. Great piece on a very useful subject, John. I just wish I had known it was coming. Thanks, David. Glad I caught you unforewarned. Today’s Phones are Ruining Crime Fiction!